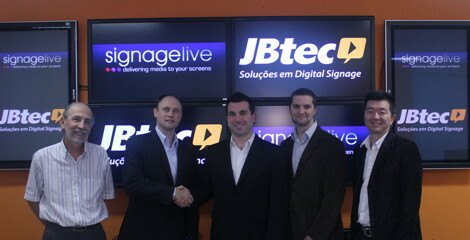 News just in is that Signagelive  has appointed JBTec  as its preferred distributor in Brazil. We are told that all Signagelive products are immediately available as a SaaS model in native Brazilian Portuguese. Reliable sources tell us that Scala is going all out to try and win signage business at the 2014 FIFA World Cup Brazil  (and no doubt two years later at the 2016 Summer Olympics ) but if that is true then it looks like Scala have taken their eye off the ball and been caught short. 1 Comment To "Has @JBTecDS Effectively Defected To @Signagelive?"